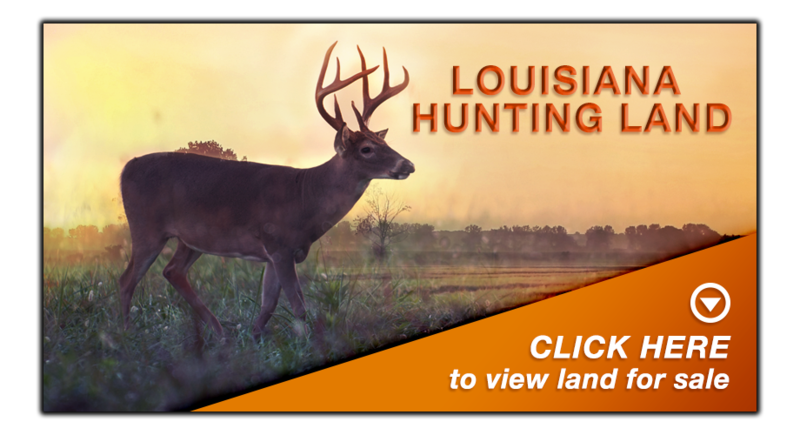 Looking for Louisiana hunting land? Check out RecLand Realty. RecLand specializes in selling hunting land, timber land, farm land and ranches. View our listing page today for pictures and maps of all of RecLand's land for sale and find your next piece of Louisiana hunting land. RecLand Realty is the Duck Commander & Buck Commander Endorsed Land Broker selling hunting land, timber land, farm land & ranches in Louisiana, Arkansas, Mississippi, Texas, Iowa & Missouri. RecLand markets its clients’ land for sale in a wide variety of places where land buyers typically begin their search when buying. RecLand has an advertising program that is second to none in our region of the country. Our laser focus on just land – and where land buyers are found - sets us apart from most real estate companies who rely heavily on local marketing to sell a property. RecLand has a large team of land agents with a vast amount of experience and knowledge in rural and recreational land, timber land, farm & ranch land and hunting land. Our land agents are outdoors people, hunters, fishermen, farmers, ranchers, land owners, foresters and business people who can confidently guide a land buyer or seller. RecLand will have land listings ranging from small hunting or home site tracts to large, premium recreational tracts…and most everything in between. We have a team of foresters who can assist buyers and sellers with current-market evaluations of investment grade timber land. 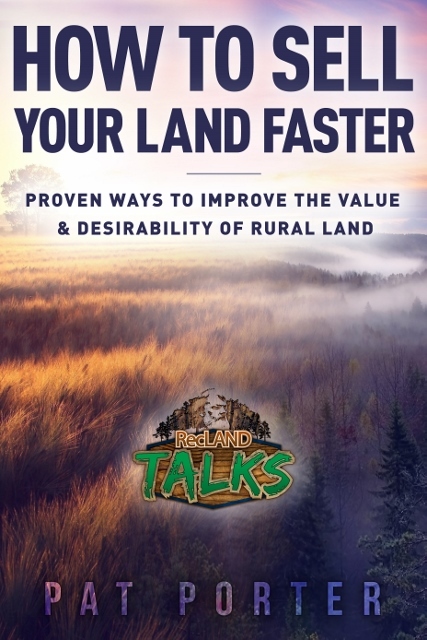 Pat offers a number of ideas that landowners can use to add value to their land as well as help it stand out from the pack and attract more buyers. The information is simple, clear and comes from actual experience. It's a short read that gets straight to the point. Not selling your land? No problem...this information can help you improve your rural land for yourself and the next generation as well as add future value. Give it a read. Kindle and print versions available at Amazon HERE. Audiobook version will be available soon. A Great LA Youth Duck Hunt! RecLand Realty, LLC is the "Duck Commander & Buck Commander Endorsed Land Broker" in Louisiana, Arkansas, Mississippi, Texas, Iowa & Missouri. We specialize in selling hunting land, timber land & farm land. Please call our land agents to discuss how they can help you buy or sell land. At RecLand Realty, all we do is land. Sign up to receive RecLand's monthly EBlast with all our current and new listings. This website is a companion site for RecLand Realty, LLC. and all information provided on this site has been obtained from various sources and is believed to be accurate. The accuracy of said information is not guaranteed by RecLand Realty, LLC or its independent real estate agents. Prospective buyers are encouraged to consult with their own attorneys, tax professionals, surveyors and others to verify all information to their satisfaction before making an offer on any property listed on this, or any other companion site to RecLand Realty, LLC. The owners of any property listed on this site reserve the sole right to change any and all terms of sale at any time without notice. Duck Commander is a registered trademark of Duck Commander, Inc. Licensed by Duck Commander, Inc. All Rights Reserved. Buck Commander is a registered trademark of Buck Commander, LLC. All Rights Reserved. 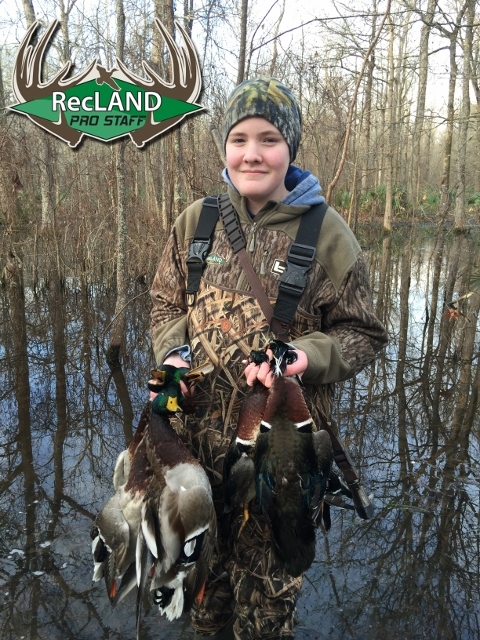 RecLand Realty, LLC, its employees and independent real estate agents make no warranties, guarantees or claims regarding any services offered, promised or contracted for with any party offering its services or leases through RecLand Hunting & Outdoors. Customers are to research each company or person offering services or leases and make their own determination as to fitness, service, and reliability. Neither RecLand Realty, LLC, nor its employees or independent real estate agents, have any financial or personal interest or ownership in any company, lease or service advertised on this site other than receiving a fee for posting the information contained herein. Each company, service and lease is responsible for the accuracy of the information posted herein and on all promotional material and websites that may be linked to the promotional material contained herein.